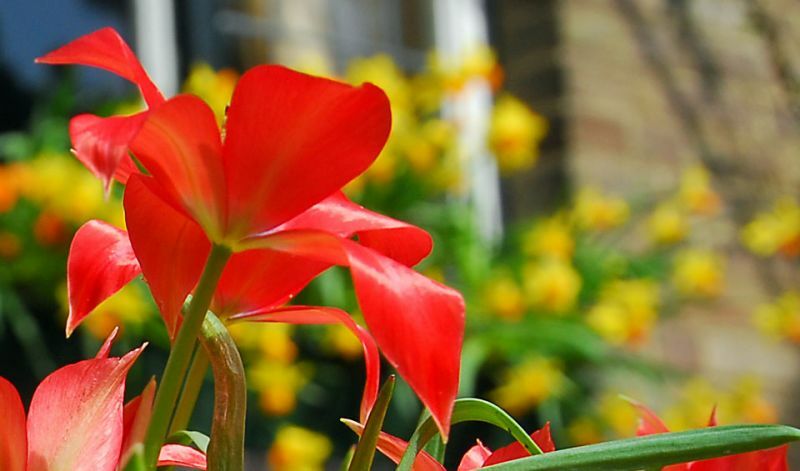 Like all specie tulips it wants lots of sunshine and moist and well-draining soil (gritty soils suits them best), drier during Summer and Winter dormancy. Colors will be more vibrant in colder climates than in milder ones. Naturalizes easily. In borders, rock gardens and naturalized (grassy) areas. Allow the foliage to die back on its own. Remove the flower heads after blooming (or the seed pods if they develop): this will allow the energy to go to the bulb for next year's flowers. (Besides the species itself); 'Apricot Jewel' (orange-red with yellow center inside), 'Bright Gem' (apricot), 'Red Hunter' (tomato red) and 'Yellow Jewel' (yellow, tinged rose). It is generally assumed that about 150 different wild species exist in an area running roughly from Central Asia to Spain and Portugal.